“Sri Jayawardenapura Vajira Sri Children’s Development Center” was established in 1983 with thirty destitute children who were victims of the prevailing ethnic civil war in the Northern part of the Island, with the support of the Asst. Govt. Agent of Morawewa at that time. Initially, Rev. 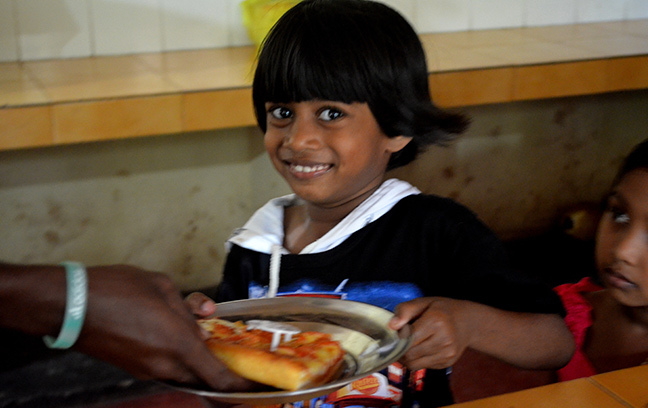 Vajira Sri Thero brought 101 orphaned children from the Morawewe refugee camp which was located in the Trincomalee district and provided them with all the basic needs as well as the education for them. The Chief Incumbent, Rev. Dr Hunupolagama Vajira Sri Nayaka Thero is the executive director of the Home. 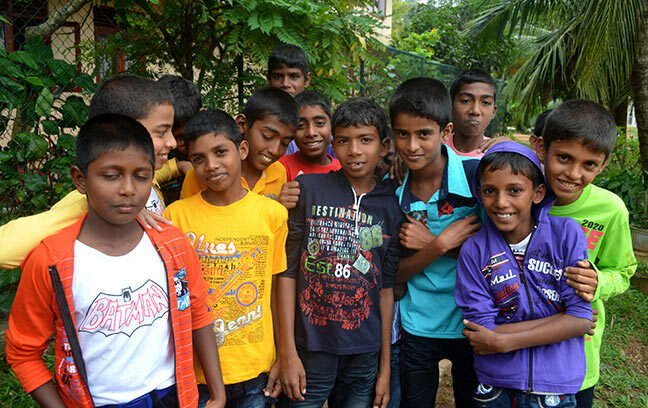 The orphans are here as the result of many types of tragic situations, such as war, shattered families, unwanted pregnancies and the Tsunami. They come here from all over the country. They are initially brought here via the Government body of social welfare. At present, there are nearly 150 destitute children of both sexes who have been sent here for rehabilitation by the Department of Probation. 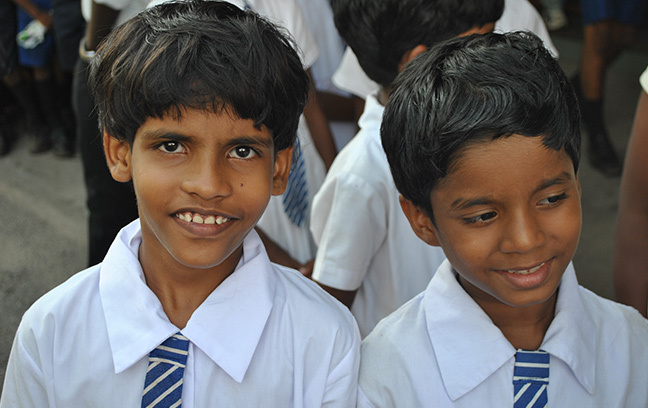 There are about 2,000 children who had been given homely care and re- integrated to the society. After the establishment of centre the children were sent to the schools in the neighborhood. This posed many problems for the children. They were discriminated as orphans. The villagers also found these children as a threat to their privacy. This resulted in the management setting up Vajira Vidyalaya to address the educational needs of the children. Vajira Vidyalaya was later renamed as WP/Jayawardanapura Indrasiri Vidyalaya which is totally dedicated for education of the ophans residing at the children’s home. 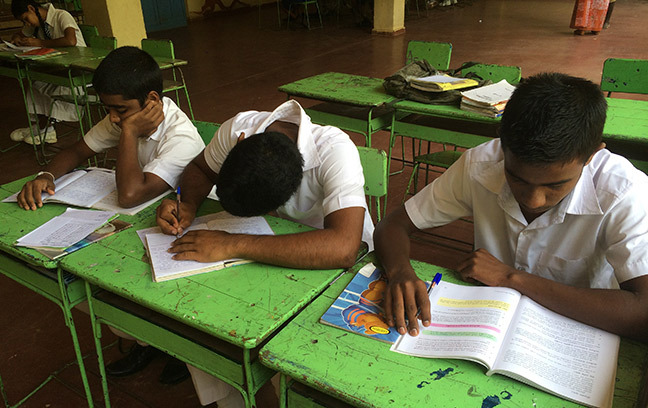 All of the children sit for the GCE O’ Levels. Some go on to complete A’ Levels and manage to get admission to a local university, and complete BA and MA degrees. To date 1,800 children have been rehabilitated and found suitable employment in the mercantile sector and some have joined the armed forces. Avant Garde has been helping and taking care of the needs of the children at Vajira Childrens Home for the past 10 years. We have support in uplifting the living standards of the children by donating the needed infrastructure and as we believe that good education is the main strength for the children to boost their lives we decided to take care of the salaries of the school staff to support their education. I intervened and formed Vajira Sri Child Development Institute to assist children who were rendered homeless without fathers and mothers due to the war. When the Black July occurred I brought children from North and East. 101 Sinhala, Muslim 75 and 200 Tamils. By the end of 1983 there were 376 children accommodated here. Initially I was assisted by Mr. Ranasinghe Premadasa. Later many people helped us. What I wanted was not only to feed, clothe and look after them but also to educate them. But these children are not accepted by schools due to lack of birth certificates, other documents and such problems. Therefore, I started a school on my own. Even Minister Champika Ranawaka came and helped by teaching them, when he was young. By this Sri Vajira Children’s institute was able to assist around 5000 to enter to the civil society. Our home needs around Rs.03 lakhs every month. For over 2-3 years he spends Rs 02 lakhs per month specially to pay the salaries of teachers. In addition he spends a lot of money for clothing, equipment and other requirements. For last New Year , he took 175 of our former children to the biggest textile shop in Nugegoda and he wanted them to buy whatever they like and want. Children picked up clothes, slippers and shoes in a mad rush. Some bought things for over Rs.10,000/= I remember, it cost him over several lakhs of Rupees. This valuable person, as I am aware spends millions monthly. He is moved when hearing of children afflicted with cancer and heart ailments. I am surprised to hear that there are people of this caliber in this world.